Hillary Clinton will hand over private email server. 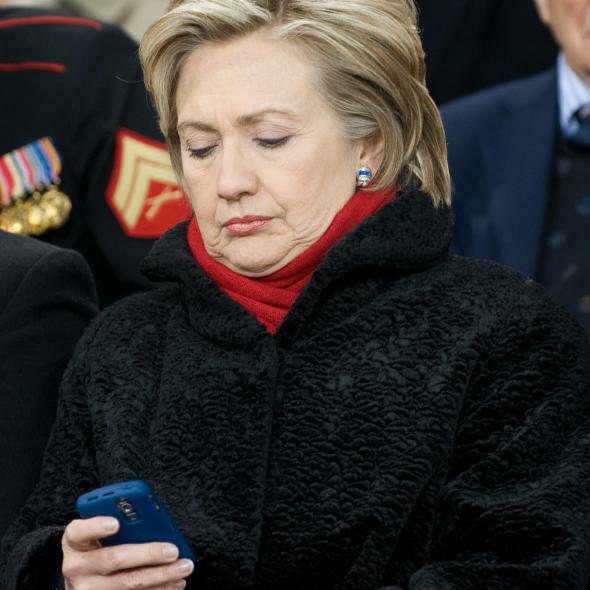 Hillary Clinton checks her Blackberry during a Veterans Day event in Nov. 2008. Hillary Clinton instructed her lawyer to hand over to the Justice Department the private server she controversially used to host her email while Secretary of State. The FBI has also taken thumb drives containing copies of Clinton’s emails from Clinton lawyer David Kendall after determining they contained classified information. The decision to relinquish the server comes as the now-presidential candidate tries to tamp down criticism that she intentionally used the private email account to sidestep transparency requirements while attempting to address security concerns that the server may contain classified information.